In 2008, an 11 year old boy named JD suffered an anoxic brain injury from a near drowning incident in the family spa. The family saw “life as normal” change that Saturday afternoon as they and their four children faced the uncertainty of life ahead. 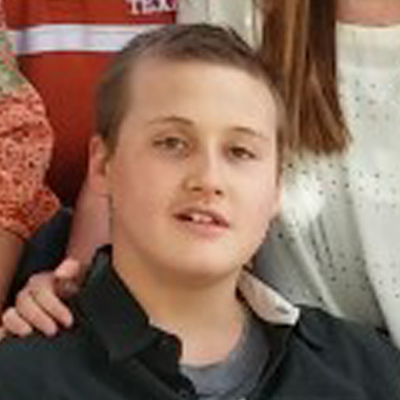 As JD underwent extensive treatment for his injuries over a 6 month hospital stay, the community stepped up and supported the family both financially and emotionally through financial support and prayer. “Pray, Pray, Pray for JD” and “Hope4Minds” became the slogans of these support efforts. After years of multiple therapies, the use of specialized equipment, and a rigorous standing program, JD is almost fully weight bearing, can walk with little assistance, and has started to talk, sing, and even spell. Click here to watch JD in action! How has Team Luke Hope For Minds helped JD? Click here to see JD swimming.